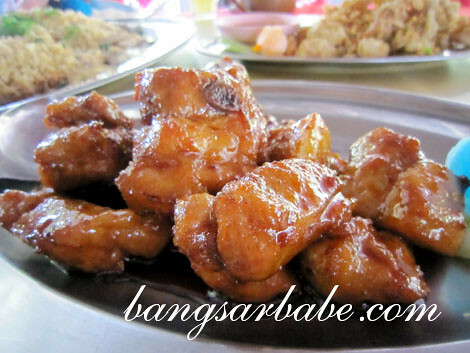 Bangsar Babe started as a diary, and it has kept good track of my food adventures, travels and important moments in my life. I remember my first week at my office in Damansara Uptown. It was the best job I’ve had — I learnt a great deal about writing and advertising when I was there. I had a great boss and senior writer, who mentored me and groomed me to become the writer I am today. I also had wonderful colleagues who treated me like family. We had many food trips and drinking sessions together, a memory no other company or colleague can outdo. 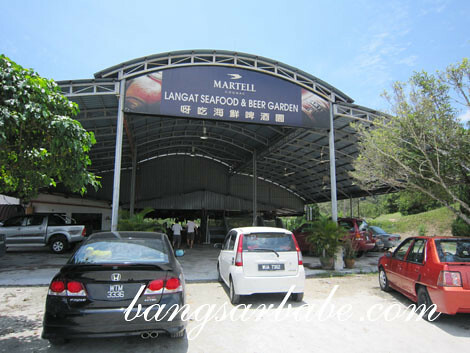 During my first week at work, they invited me to lunch and beer at Langat Seafood & Beer Garden. A lunch I remember lasted 5 hours and more than 10 bottles of beer. Almost 4 years later, I went back to the same restaurant with rif and two friends. The restaurant looked the same, but it was less crowded. The beer I ordered didn’t taste as good, because I was the only one drinking. It is true, that drinking with good company makes mediocre alcohol taste better. And with that thought, I really miss my old colleagues. Guys, if you’re reading this, it’s time for a reunion! 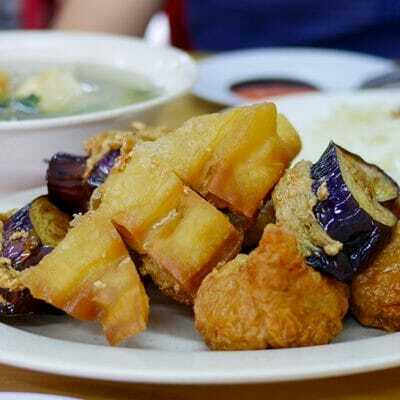 That afternoon, we tucked into sang har, cooked sweet and sour style, fried squid, marmite pork ribs, steamed tilapia and bok choy. Since the restaurant wasn’t that full, it didn’t take long for the food to arrive. Which was good, as I was starving and I get incredibly grumpy when I’m denied food. The sang har wasn’t very fresh; it was slightly mushy at the centre and the sauce was very one-note. I could mostly taste garlic and lots of plum sauce. We should have asked for steamed sang har instead. 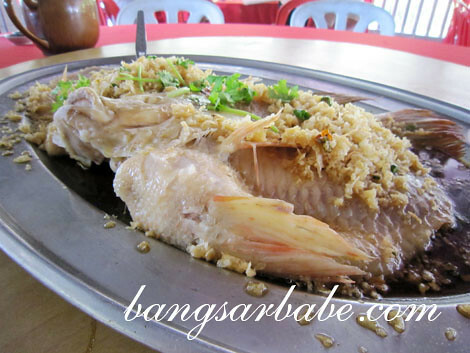 Better was the steamed fish, topped with garlic and ginger paste enough to send a Dracula scurrying. The fish was fresh, because it was just caught from the tank next to the restaurant. I don’t think the tank is connected to the toilets, like the ones in China. The fried squid was fairly tasty. Especially when eaten with the sweet chilli sauce provided. I liked that the batter was light and seasoned with salt and pepper . 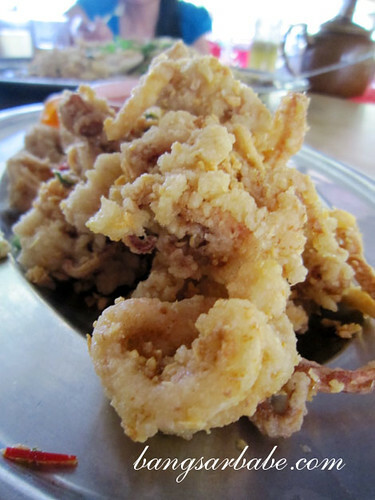 The squid rings were also tossed with fragrant fried garlic and cili padi for more oomph. 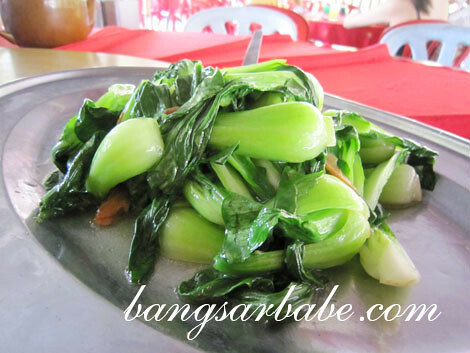 Stir-fried baby bok choy was ordered for colour, and to show my mother who now reads my blog what a good girl I’ve been. Or not. This was just alright. Nothing to shout about. They didn’t have the wild boar curry I wanted, so the marmite pork ribs was a consolation. It was a good consolation. The ribs were tender and generously coated with caramelised marmite sauce. There were some misses in the food and the sang har was rather expensive. 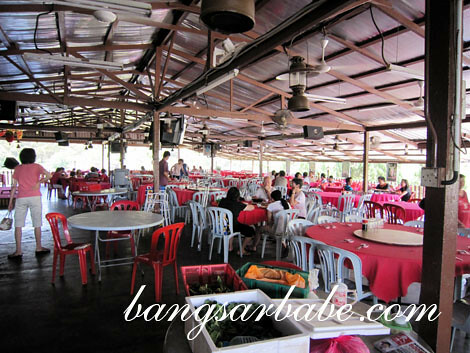 I think our meal was RM150 for the above, with the prawns costing more than half the amount. But I’d still come back for a reunion with my old colleagues. Verdict: A few misses, but the marmite pork ribs and deep fried squid were good. 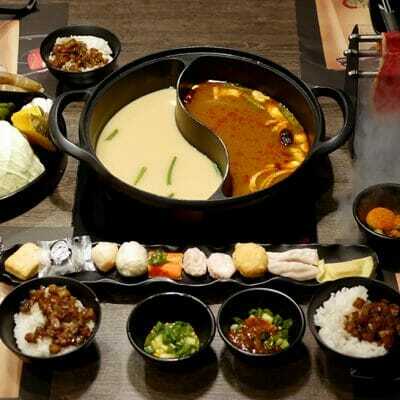 Do order the wild boar curry if it’s available. If memory serves me right, it was wicked! i can so relate to your lunch experience, 2nd day of work, went on a 5 hour booze lunch that I cant believe happened, what a great way to have warmed up to everyone! You should organize the reunion aka get the ball rolling, it would be satisfying! Yes, I really should! Thanks Kash! it’s nice to have pleasant memories attached to places like this. my colleagues from my early years of working have all moved on to other companies now, but your post made me recall meals that we had together at eateries on asian heritage row, back when it first opened. our office building is just a five-second walk from the row. but all those restaurants have now closed, replaced by dodgy watering holes that i never visit anymore, even though i’m still working here.